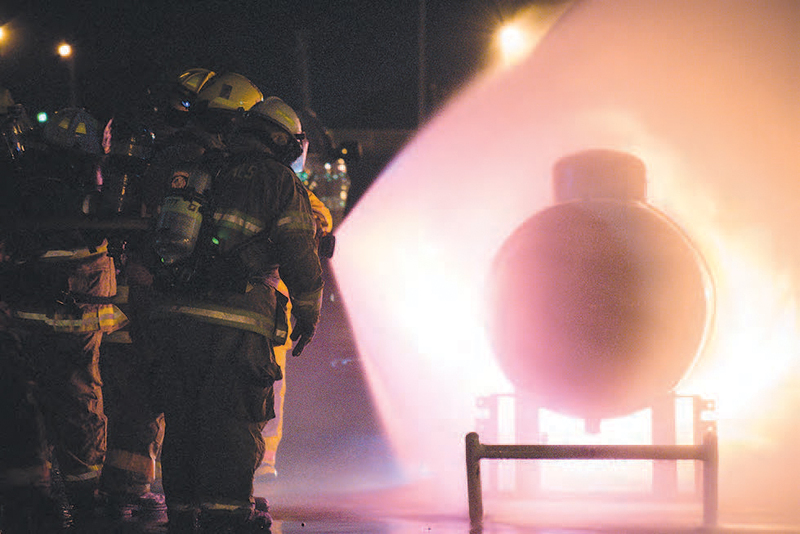 Propane Emergency Training in Sedalia | F.F.A.M. The Fire Fighters Association of Missouri and the Missouri State Fair Fire Department (MSFFD) hosted a no cost, two-day training in cooperation with the City of Sedalia Fire Department, Pettis County Fire Department, National Propane Education and Research Council, Missouri Propane Education and Research Council, University of Missouri Fire and Rescue Training Institute, and the State of Missouri Fire Marshall’s office for firefighters at the Missouri State Fairgrounds firehouse. EMS equipment and an ambulance were furnished by the Higginsville Fire Protection District, Higginsville EMS and Wellington Fire Protection District for rehab and on scene medical care. The trainers instructed twelve hours of classroom training on how to handle propane emergencies to assist the firefighters on scene and eight hours of hands on firefighting skills dealing with propane fires and vehicles. The bobtail delivery vehicles were used for vehicle familiarization if an emergency occurred and were furnished by Heet Gas Company of Cole Camp and MFA Oil Company of Warrensburg. These companies also fueled the live fire training props with propane for the exercise. Live fire props of a domestic propane tank and bobtail were used for the live fire training. 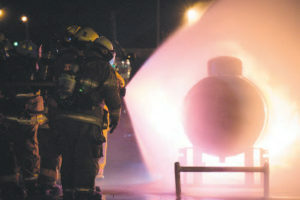 Basic propane equipment and parts were used to assist in building firefighter knowledge and awareness when arriving on the scene. Several industry experts were on hand for questions and instruction during the evolutions of live fire training. The FFAM and MSFFD provided lodging and all meals for the attendees for no cost to the participants for the weekend. Joyce Thompson and Kathy Eggen were on hand to prepare and cook the meals for the weekend. Many compliments from the attendees and great job ladies! Several members of the MSFFD were on hand to assist with cooking and clean up and made for an excellent weekend of teamwork and fellowship. 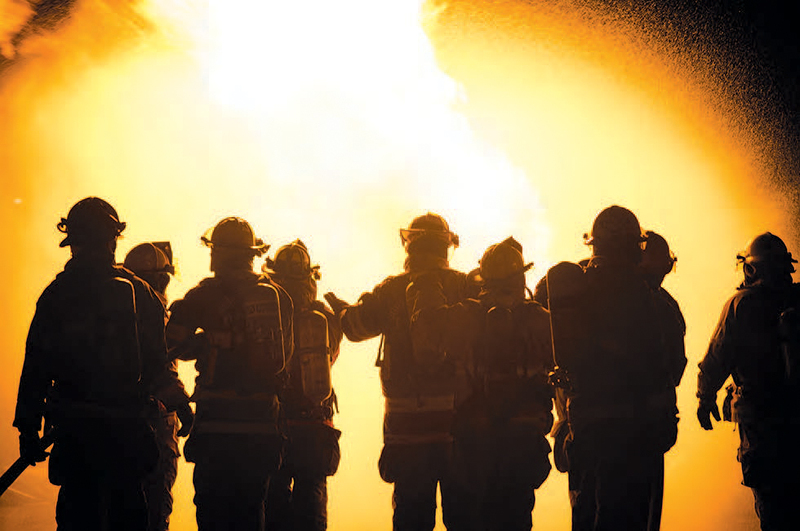 The funds for training and meals were provided by the National Propane Education and Research Council and the Missouri Propane Education and Research Council. These funds are provided to assist in the safe handling training around the nation. The FFAM along with the Missouri State Fair Fire Department were honored to be able to host the training in the State of Missouri again for the firefighters. Firefighters in attendance were from 21 departments across the State and one propane supplier attended this year. I would encourage you to start making plans for the convention to be hosted by the MSFFD April 21-23, 2017 in Sedalia, Missouri, and be active with the FFAM.